SHINee's Minho was rushed to the emergency for medical assistance after suffering an injury on the sets of "Jangsari 9.15". Minho, while shooting for Jangsari 9.15, had reportedly received abrasions to his face and was rushed to emergency for medical aid on December 2. According to SM Entertainment "While filming for the film "Jangsari 9.15" in Youngdeok, Minho suffered abrasions to the left side of his face after being hit with fragments from a special effects prop item. He was immediately taken to the emergency room and treated for his injuries, and we will be keeping an eye on his condition as he receives outpatient treatment". The agency further claimed that "The film was already scheduled to take a three to four day break from filming as they will be moving locations and time in needed to set up everything. Minho will get plenty of rest before his return to the film". 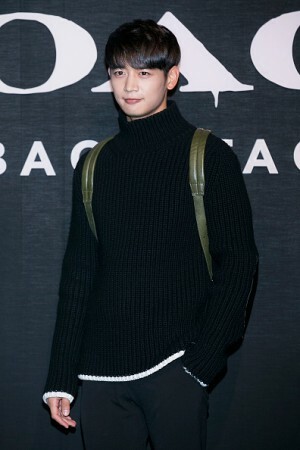 The idol-actor, Choi Minho, essays the role of a student soldier who serves as the central character in the war film. Minho will share screen space with veteran actor Kim Myung Min and Hollywood actress Megan Fox. "Jangsari 9.15" is expected to be a blockbuster war film depicting real-life events of the Battle of Jangsa, where 772 student soldiers aged around 19 risked their lives with barely two weeks of training to fight the Battle of Incheon. The battle was led by UN peacekeepers and General MacArthur. The film follows the events that took place on September 15, 1950 revolving around the demonstrative operation held by brave student soldiers. The cast of the film includes SHINee's Minho, Kim Myung Min, Megan Fox, Kwk Si Yang and Kim Sung Cheol. The filming of the movie began in mid-October and is expected to release in 2019. Ever since the news of his injury has been made public, fans worldwide have taken to social media handles to wish Minho a speedy recovery.